The declining enrolment trend in local schools won’t end anytime soon, a recent population study by Lambton County suggests. In fact, the report based on census date predicts the City of Sarnia won’t grow at all between now and 2036 and is more likely to continue to see its population declines. 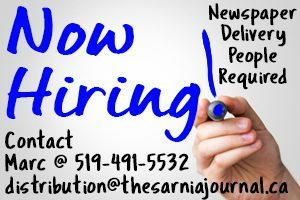 Sarnia had 71,594 residents in the 2016 census, the most recent. Under the best-case scenario, the population would flat-line at 71,518 over the next 20 years. But it’s more probable the number of residents will slip to 67,323, and could it fall to as low as 63,321, according to the county’s projections. What gives city officials pause is that a similar county report done in 2012 proved to be accurate. Sarnia’s population has experienced a slight decline, as predicted, over those years. The projections for Lambton County also envision a decrease in population by 2036, with a mid-range estimate of 113,057, a low of 108,352 and high of 117,918. Two Lambton municipalities have bucked the trend between 2011 and 2016, the census found. Petrolia’s population grew 3.5% to 5,735 and Plympton-Wyoming increased 2.8% to 7,780.